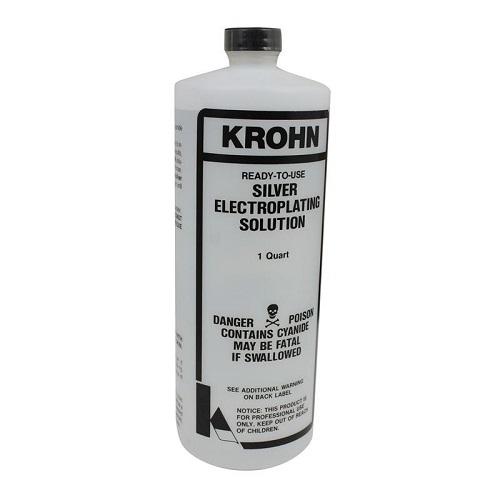 Krohn Silver Electroplating solution in 1 qt size bottle. This is a silver cyanide solution which imparts a bright silver plate. Use with caution.